This vacation apartment is quietly located, well-kept and cozily furnished. Enjoy our apartment, with its separate entrance, garden terrace, view of the lovely landscape and Salem Palace. A perfect spot to relax and ideal starting point for day trips. Tourist attractions: Salem (castle, church, museum, monkey-hill, castle-lake), Isle of Mainau, Abbey Birnau, Uhldingen (Pfahlbauten), Meersburg (castle, old-town, museums, promenade), Überlingen (church, ctiy-garden), Konstanz (Konzil, Münster), Friedrichshafen, Isle of Lindau, CH-Schaffhausen (Rhein-waterfall), CH-Stein am Rhein, Swiss-, Austrian and Bavarian mountains, Black Forest, Donau valley and more. All reachable within one to two hours by car. Salem is a well known town with much culture and history. 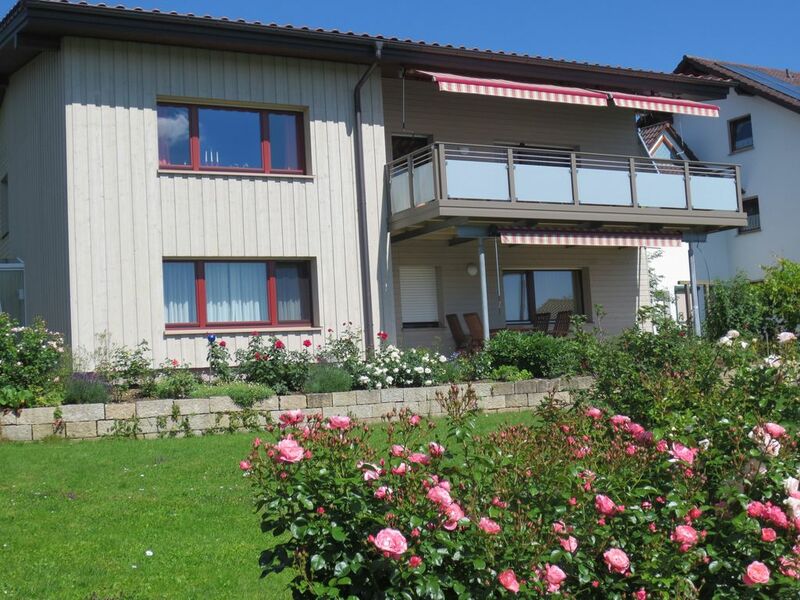 It is located in the midst of a charming landscape, about 10 minutes' drive from Lake Constance. Golf: Golf ground Überlingen-Lugenhof approximately 10 km from here, golf ground Höchsten-Rochushof approximately 12 km from our flat.